Back to School!! It’s time for me to start rounding up school supplies for my boys. Since I’m the Organizer-in-Chief, I thought I’d freshen up my supplies, too. 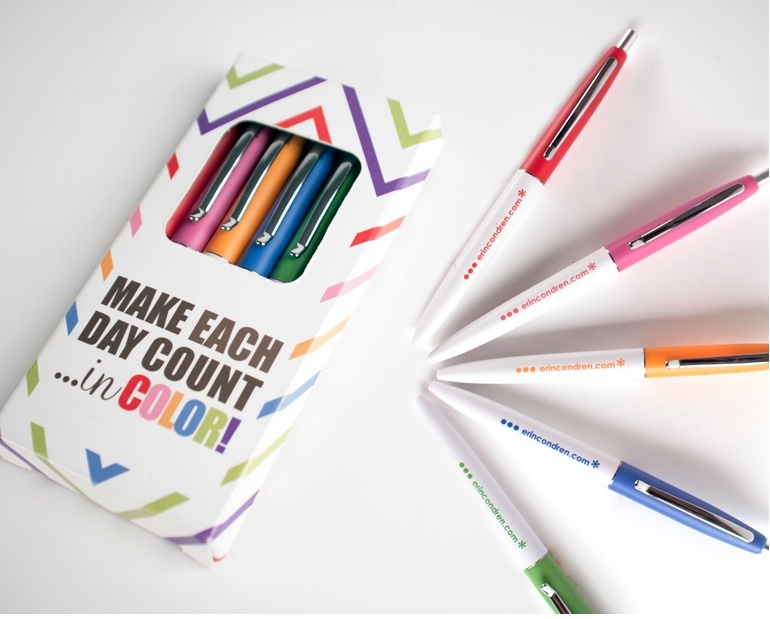 How fun and colorful are these pens and notepads from Erin Condren?! I keep most things on my ical, but sometimes you just have to write things down so you can enjoy the physical act of crossing them off! And, colored ink just makes it easier to color code everyone in the family. 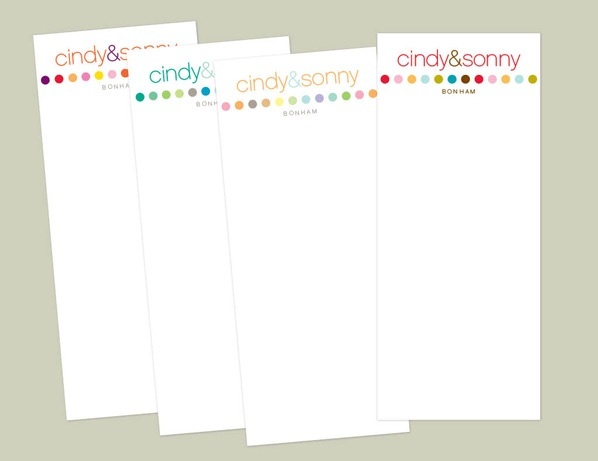 Many more options and styles…you can even personalize a greeting beyond just your name. Also makes a great gift idea! So whether you’re going back to school, sending someone off to school or just like to keep things organized….keep it colorful and fun! my daughter has the some of the most charming gift tags and note-cards from erin condren. love how spunky and clean the designs are. Organizer-in-Chief… we can so relate! We're all for writing our to-do's down on great notepads or in fun notebooks and we'll definitely be checking Erin's creations out! Is it that time of year already??? I miss those back-to-school things and need to take cue from you…organize myself! Shopping for school supplies is so much fun for me, and I love the color and scents of the new pencils, crayons, and papers. These pads are perfect for gifts and myself. Thank you for sharing. It's hard to believe it's Back to School time! I think I may have to buy myself some colorful pens and paper to celebrate back to school – thanks for sharing! I've seen his agendas and they would really help start out school on the right foot. just three weeks to go! Wonder site Elizabeth!! I'm like you.. enjoy .. or need to write things down. Even though my kids are in college, I still find myself taking inventory and doing a little editing of supplies come fall. Hope you are enjoying the last bit of time with the boys before they head back to school. It used to be a mixed bag of feelings for me. I longed for a little quiet time and order in my home but I also realized another year had passed and my kids were getting older. These are great Elizabeth, such great gift ideas! Love the pens with the positive sayings!! 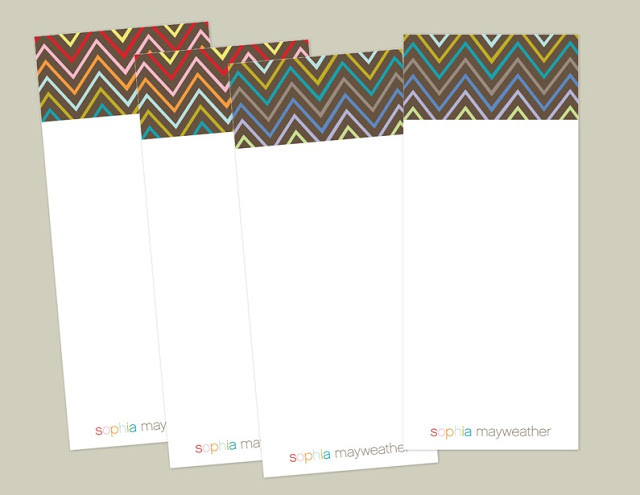 Oooh I love those notepads! I need to write things down it makes things so much more manageable for me for some reason. These are great! I dream of your organizational skills, Elizabeth. Love the notepads – needing to update mine a little!! Elizabeth, you always showcase some of the best products! I love finding new products from you. Thanks for sharing these, such great gift ideas!! It's always nice to have new resources for fun stationary. Thanks for sharing! I'm so glad I am back to blogging and visiting my friends. I have missed coming over here! I can't believe summer will soon be over 🙁 And I still have so many summer projects left. You can come help me organize anytime. I just have to have a cute notepad to make to do list etc. There are so many interesting styles ad designs! a fiscal assistance and can boost your business, if proper usage of amount you borrow is made. A low interest will enable you're making monthly obligations which are affordable paydayloansonlinedurp.co.uk if you can find current blips within your credit, now could be the time to make them right.